Creating a JMeter test is a straightforward process. You should choose “Create JMeter Test” option on the main screen. There are 3 main steps to follow to create a JMeter test. Test Name is a mandatory field as it will be in the name you will see when you go to My Test menu. Upload File field let you upload JMeter scripts, CSV file or other third-party JARs. Whenever a test is saved, newly added files are uploaded to our servers. In case there’s an update, Loadium will automatically update the files by matching them by their file name. Note: At least one JMX file is mandatory to save a performance test project. Note: In case, your JMeter scripts are using a CSV file, this file’s location should be an absolute path. In case JMX file has “/usr/loadium/perf_test/user_data.csv” as CSV file path, it should be changed to “user_data.csv”. Uploaded files will be stored in the same directory in AWS so there shouldn’t be a relative path. JMeter Version: Choose which the JMeter version where you implemented your test scripts. Split CSV File: Select this option to split your CSV data into different engines. In general, all performance scripts have a data source (CSV file,etc..) for every request to use a different data. There are two different approaches to consume test data. The second one is that test data should be used once. Example: To make a performance test on “a single sign-on” system requires a thread to use a test data once during the test because only one user can be logged in to the system at once. But in a totally different scenario where “you order a food”, test data can be used by every thread generated. To overcome this issue, you should use the Split CSV File option. If this option is chosen, CSV file will be split into “generated engine number” and uploaded to every engine separately. In case it is not chosen, CSV file will be uploaded to all engines and every thread group will share the same file. Performance test parameters can be configured in your JMeter scripts. But for some case, you might want to override them. So you use those options to change any value you want. Engine Count: This parameter let you create engines on Loadium’s servers. The parameter is 1 by default. You can change it according to your subscription type. Iteration: This parameter defines the number of iterations for every thread to execute the test scripts. 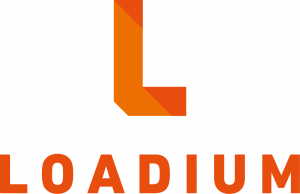 Duration: This parameter defines test time for Loadium to execute. If your test script has 3 Thread Groups in it and you set 500 thread on test configuration, Loadium will override each Thread Group. So total number of Thread count will be 1500. This might corrupt your metrics in case it is not considered. So be careful about it! The execution time of a test script is defined by Duration or Iteration parameters. In case not all iterations are completed during the defined “Duration”, test execution will stop. The same rule applies vice versa. If all “Iterations” are completed before defined “Duration”, the test will stop. In case you want to use uploaded JMeter script’s configuration, tick the checkbox next to each parameter. In order to create a realistic performance test, tests needed to be run on different geolocations. Loadium let you select a geolocation according to your performance needs. When a network is chosen, Engines will be generated in that particular region and all request will come from that region. In case you would like to be notified by an e-mail after the test ends, below checkbox must be chosen. When a JMeter script is executed, execution is done with some predefined configurations. In order to override those configurations, you need to change some configurations by using Advanced Settings. Every JMeter script creates a JTL file after its execution. That JTL files content is defined by JMeter.properties file and Loadium always executes the default one. You can change the JTL file’s content by using this option. You can also add additional command line parameters to your execution. Important Note: Those values must be carefully made as they might corrupt the test and its results.